Ukrzaliznytsya out to buy locomotives. The American corporation General Electric signed on 20 July in Kyiv a memorandum on cooperation with Ukrainian state-owned enterprises Antonov and Ukrzaliznytsya, Interfax-Ukraine reported. The document signed with Ukrzaliznytsya (Ukrainian Railroads) provides a lays down basis for further strategic cooperation in the production of locomotives in Ukraine, the Minister of Infrastructure of Ukraine Volodymyr Omelyan said. Earlier, it was reported that General Electric would give Ukrzaliznytsya a locomotive for demonstration purposes. The cooperation with GE aims to update the rolling stock, said CEO Ukrzaliznytsya Wojciech Balchun. The second memorandum regards the cooperation of General Electric with SE Antonov, aircraft manufacturing company. "We are one of the few countries manufacturing aircraft. We believe that the partnership with GE in engines supplies will help raising our aircraft to a higher level of quality. We will be able to take a well-deserved niche in the global air space. I am more than confident that we've have every chance for this to happen, and I hope that the signing of this document will kickstart the practical implementation of projects. The world needs Antonov aircraft, but with a high quality European engines," Omeljan said. The Marketing Director of GE Transportation, Adem Saglik, pointed to a great potential of cooperation with Ukraine. 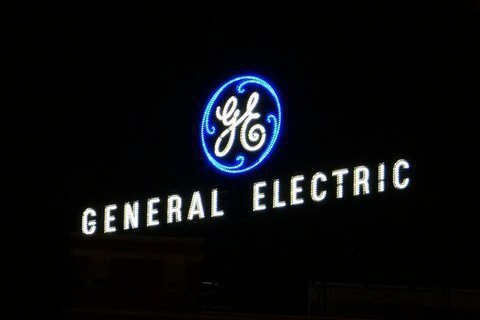 General Electric is Diversified Corporation, the manufacturer of many types of equipment, including locomotives, power plants (including nuclear reactors), gas turbines, aircraft engines, medical equipment, photo equipment, household appliances and lighting equipment, plastics and sealants. The company is headquarters is located in Fairfield (Connecticut, USA).